AMES, Iowa — Iowa State University researchers are seeking feedback from Iowa farmers willing to test an early online version of a tool to better understand the costs of implementing nutrient management and soil conservation practices. The researchers are near completion of a beta version of the online tool to help articulate the cost of various best management practices designed to reduce nutrient and sediment loss. 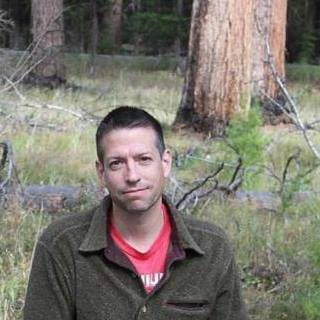 John Tyndall, associate professor in the Department of Natural Resource Ecology and Management, says he hopes to glean insights from user interaction and feedback. Tyndall says that much of this work was initiated by Dr. Laura Christiansen as part of her PhD work at ISU and that it’s caught the interest of other states. “Other states with nutrient reduction strategies have been borrowing initial cost numbers from us,” he said. By providing farmers with information and decision reports similar to those available for other aspects of their production systems, Tyndall hopes that farmers find this tool useful for making the financial commitment to conservation. He hopes the beta online tool also will provide insight on the types of production practices farmers commonly use. He will continue to refine the tool to ensure it is dynamic and up-to-date with cost trends. The latest update to the decision tool includes the addition of management practices such as contour prairie strips and saturated buffer strips, all of which have demonstrated ability to reduce nutrient transport into waterways. Farmers who are interested in learning more about this decision support tool, please contact Tyndall at jtyndall@iastate.edu. The research is funded by the Iowa Nutrient Research Center. The Iowa Nutrient Research Center has funded 31 research projects conducted by scientists at Iowa State, University of Iowa and University of Northern Iowa since its establishment in 2013 by the Iowa Board of Regents in response to legislation passed by the Iowa Legislature and signed by Governor Branstad. The center, administered by Iowa State University, is meeting the need for continued research and innovation to address Iowa’s water quality concerns. It supports research to evaluate the performance of current and emerging nutrient management practices, providing recommendations on implementing the practices and developing new practices. The center’s director is John Lawrence, associate dean for extension and outreach in Iowa State’s College of Agriculture and Life Sciences and director of ISU Agriculture and Natural Resources Extension. John Tyndall, associate professor in natural resource ecology and management, Is using an online tool to better understand the costs of implementing nutrient management and soil conservation practices.